Whether you want to reach healthcare professionals in your own community or around the world, RadLIST and Google offer an effective advertising solution that fits almost any budget. RadLIST supports banner ads which are targetable through a Google Adwords account. Google technology will optimize the display of each ad to deliver the best return for your advertising purchase. As of January, 2018, RadLIST has approximately 12,000 sessions per month and displays approximately 60,000 pages of content per month. A majority of our visits are from the United States (82%) and Canada (8%) with additional significant visits from Australia, India, United Kingdom, France, Saudi Arabia, New Zealand, Belgium, and South Africa. Most come from medical centers in these countries. 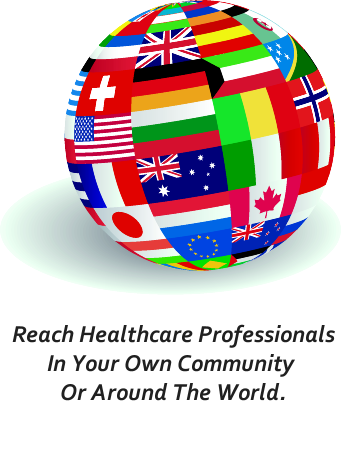 Promote your product to our internet healthcare audience today. Click here to visit Google and learn more. Note: The information above applies to the Google ads found throughout the RadLIST site. Posting CME courses to RadLIST is free. More information on posting courses can be found here.